Duncan and his mother had always seemed nothing short of unconventional, a shared personality trait that folks in their tiny farm town had whispered about. 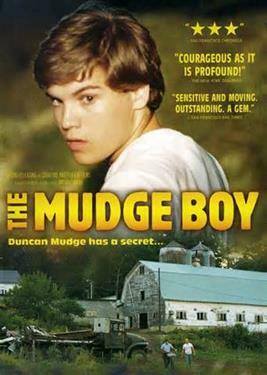 After Mrs. Mudge's untimely death, Duncan finds himself unable to part with her spirit. He mimics her voice, wears her fur coat to bed and carries her pet chicken with him everywhere. His father, Edgar, is offended by his bizarre behavior and becomes intent on manipulating his son by laying down new rules and turning his coddled son into someone more masculine. Unwittingly, Duncan makes himself the target of ridicule among the local teens. He finds a friend in Perry, the oldest member of the "Townies." After convincing his friends to accept Duncan, bits of Perry's concealed personality surface, threatening to destroy their relationship when the lines between friendship and love become distorted.